Politics is a game filled with deceit, betrayal and bribery. Undersea politics is no exception. The evil tentacles of corruption have made their way into the world of Abyss and every player will be forced to avoid their slimy grasp. Abyss was unleashed on the gaming world last year to wide critical acclaim. The game play was smooth and engaging and the art by Xavier Collette was breathtaking. With so many different Lords, Locations and Allies it was a game that screamed for an expansion. With Abyss: Kraken, those screams have been answered. Kraken adds a number of new elements that will challenge the way you approach the game and ask players to fight against the lure of corruption. It will be impossible to avoid it completely, but for the player that succumbs the most, severe penalties await. The new allies, the Kraken do not affiliate. Instead when they are spent to buy the favours of a Lord, they will earn the player Nebulis, the new currency in the game. Each Kraken ally has a number of Nebulis depicted on the card. When they are spent the player receives that number in Nebulis. Now having this new dark currency can be helpful, but it’s essentially playing with fire. 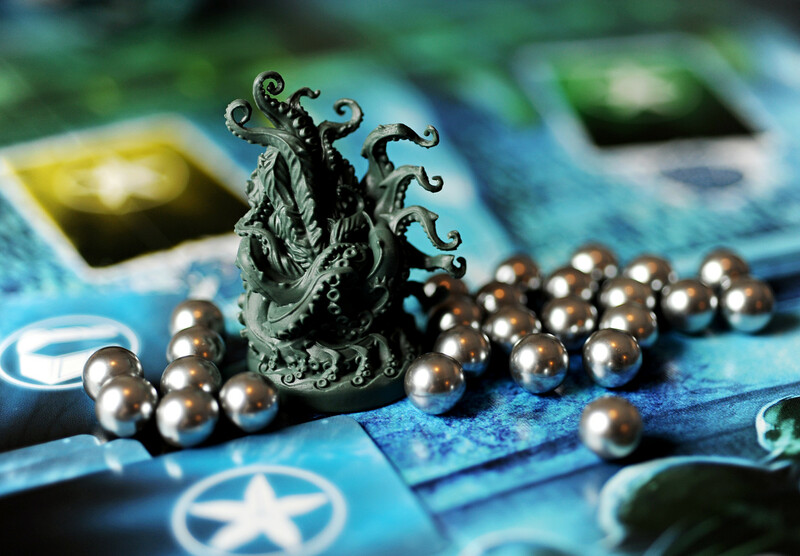 Whichever player has the most of the cursed pearls receives the Kraken token. 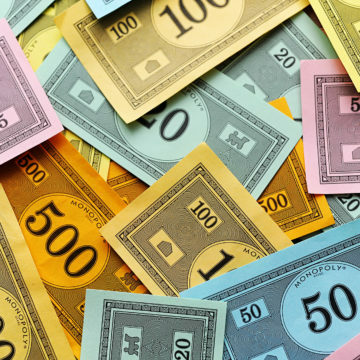 At the end of the game the person in possession of the token will lose five points of influence. The token itself is a pretty menacing hunk of tentacled plastic, especially when it’s sitting in front of you reminding you of the points it’s going to cost. There are ways to get rid of the Nebulis to make life easier for you and harder for other players. Nebulis can be used just like regular pearls, as long as you have no pearls left in your reserve. If another player is exploring, you can use Nebulis to pay for an ally, assuming you’ve already spent all your pearls. Not only can you get a helpful ally into hand you can get rid of some of the accursed money. New Lords are added into the game. 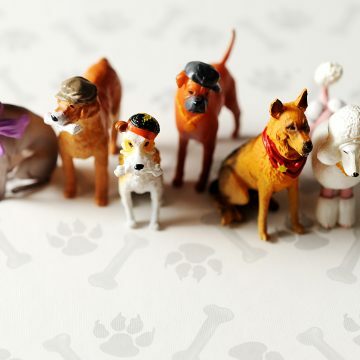 Two for each of the base game’s guilds and eight Lord’s belonging to a new guild, the Smugglers. This new guild is of low moral values and deals in the art of shady transactions. They will help you transfer and manipulate Nebulis towards other players, washing you clean and smearing their political legacy. There are also three new lords known as the Sentinels. The Watcher, the Lookout and the Vigil will allow you to place out a token to claim either a free Lord, Location or Council Stack. No other player will be allowed to obtain that which you have claimed. Once you’ve acquired your item you’ll retrieve your token and be able to use it on future rounds to reserve something else. Finally, Kraken adds six new locations. Two of them work normally, like the locations in the base game. However, four of them, the Sanctuaries, work differently and represent the kind of place that only Smugglers would visit. When a Sanctuary is acquired it begins a game of push your luck for the player involved. The player will start drawing Loot cards. 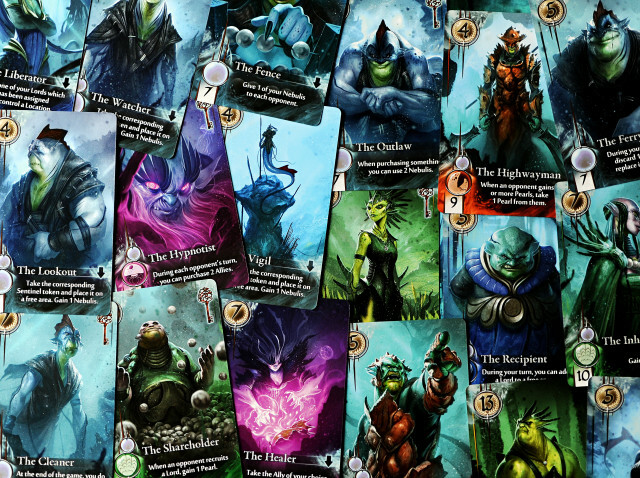 Loot cards are numbered between three and seven. The number refers to how many influence points they’re worth at the end of the game, but also the reward which the player will take immediately. A three earns a key token, a four gives the player two pearls, a five allows the player to draw a monster token, a six has the player take the top card of the ally deck. If it’s an ally they add it to their hand. If it’s a monster they move up the threat token on the monster track and draw agin until they come up with an ally. A seven earns no special action other than the seven influence points it’s worth. After drawing a Loot card you have a choice to make, continue or stop. If you decide to draw another Loot card and it’s of the same value of a previously drawn Loot card you’ll lose all of the cards of the same value and your turn will end. Otherwise you’re free to draw again if that’s what you decide. Kraken does what any good expansion should do. It adds some interesting gameplay elements to a well designed game, without changing the overall feel or flow. The tension is ratcheted up a bit with the Nebulis being passed from player to player like hot potatoes and the Sentinel Lords can grant some awesome powers to those who’ve won their favour. As you would expect the art and components are top notch. If you were a fan of the original Abyss, it’s pretty safe to say that Kraken deserves a place in your collection. 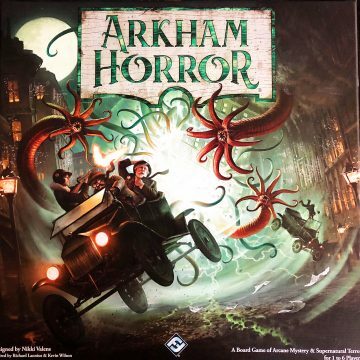 ARKHAM HORROR: THIRD EDITION or HOW WOULD YOU C’THULHU?